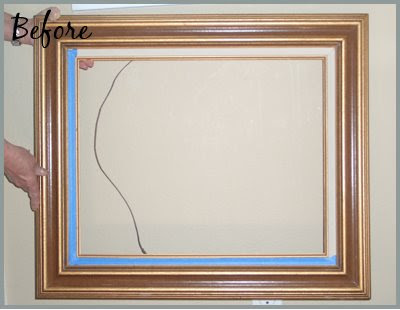 Simply Jen: How to Transform a Frame with Paint! This old, gold frame was desperately in need of some love. Krylon Fusion for Plastics in Satin Dover White wrapped its loving arms around it and transformed the ugly duckling frame into a beautiful, jaw-dropping swan - fit to frame a masterpiece. Choose a well-ventilated area, preferably outside. When using spray paint, the overspray can really travel, so always protect surfaces by putting down newspaper or drop cloths. Fortunately we had a spot in the back of our property that didn't need protecting. For best results, read and follow the directions on the back of the can. Shake the can vigorously before application. Spray a thin coat of paint onto the surface in a sweeping motion. If paint is running, you're spraying too close and too heavy. You can wipe the running paint quickly with a paper towel before continuing. Continue applying thin coats of paint until the entire surface is evenly coated. 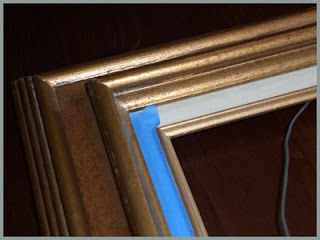 I have found better results with removing the painter's tape immediately after painting and before the paint dries. 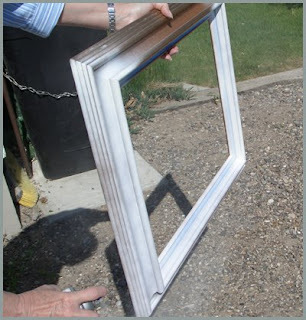 Allow the paint to dry completely in an area away from any dust that may blow onto the surface. 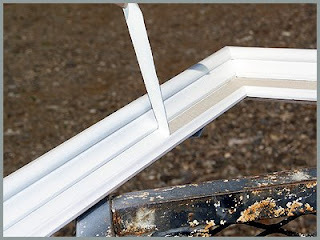 If you haven't used all of the paint in the can, you'll want to clear the nozzle for next time! You can do this by turning the can upside down and spray for about 5 second. This will keep the nozzle from clogging, so it's ready to go next time you are! Take a look at the incredible transformation! 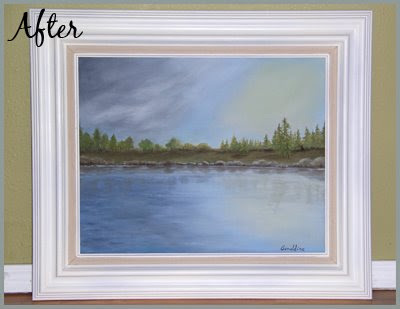 PS - I love this nautical scene that was painted in oils by a wonderful artist, Geraldine. Lucky me, I'm her daughter! The walls of my home are graced with her beautiful works of art. If you are interested in her art, leave a comment and I will send you her contact information.